It is, without a doubt, hot chocolate season here in our little part of the world. I’m talking hat, scarves, boots – everything! And to think last week Mike & I were still in Arizona leaving the house in t-shirts thinking that felt a bit chilly at times. Ha! 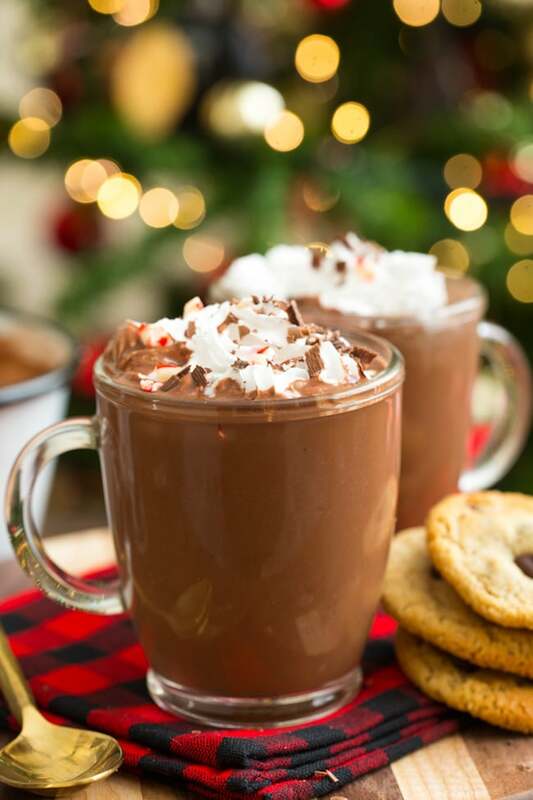 That being said – it’s time to lean right on in to the cozy vibes and warm up with a cup of the richest, creamiest dairy free peppermint hot chocolate. Let’s get to it! 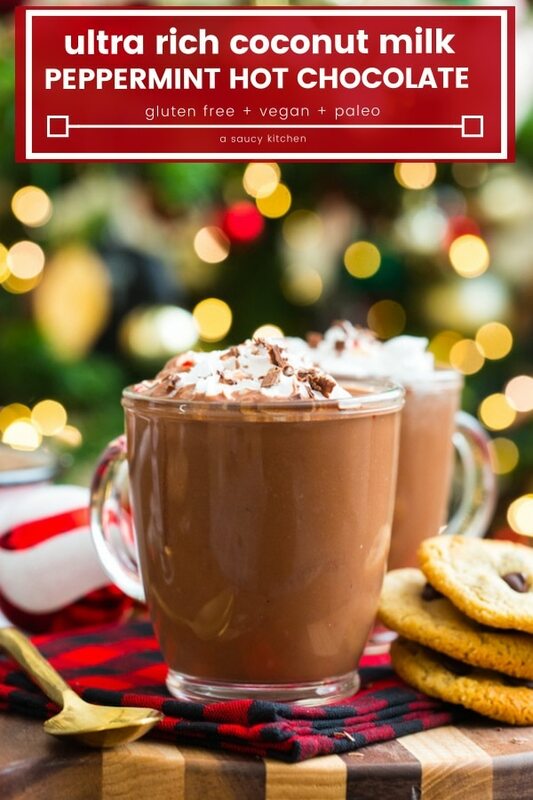 Now, I realise that there are only five million or so recipes to be found online for hot chocolate, but let’s all agree that you can never have too many recipes for such a winter classic. Sure you can buy your own premixed concoction. I’ll be the first to admit that I love them all. I’ve been known to double up on packets a time or two (every time) to come up with an extra chocolatey sugary gloriously delicious beverage – as decadent as you can for something that comes out of a box. Once you realise how easy it is to make and customise your own at home you’ll think twice before heading to the store to buy another box of hot chocolate mix. 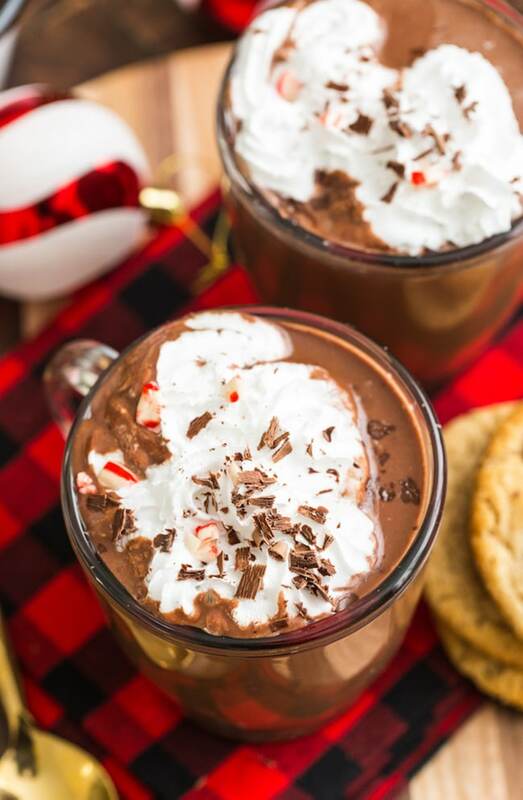 This coconut milk peppermint hot chocolate is as easy as they come. Five minutes on the stove top, a little whisking, and a drop or two of peppermint and you’re done. Add a little more sweetener if you like or experiment with different flavourings. If you’re not exactly feeling the peppermint vibes you can absolutely play around with the flavourings. Throw in some orange zest, add a touch of chili or just keep it classic with the cocoa. It’s also never a bad idea to just go to town and throw on a handful of marshmallows with extra chocolate shavings and call it a night. Keep in mind that coconut milk hot chocolate is suuuuper rich and creamy. One serving is only a cup, but a little goes a long way. If you’d like to cut back a little bit on the decadence you can always use a lower fat coconut milk or use half coconut milk and half almond milk. This will help to thin out the consistency and lower the over calorie and fat count. 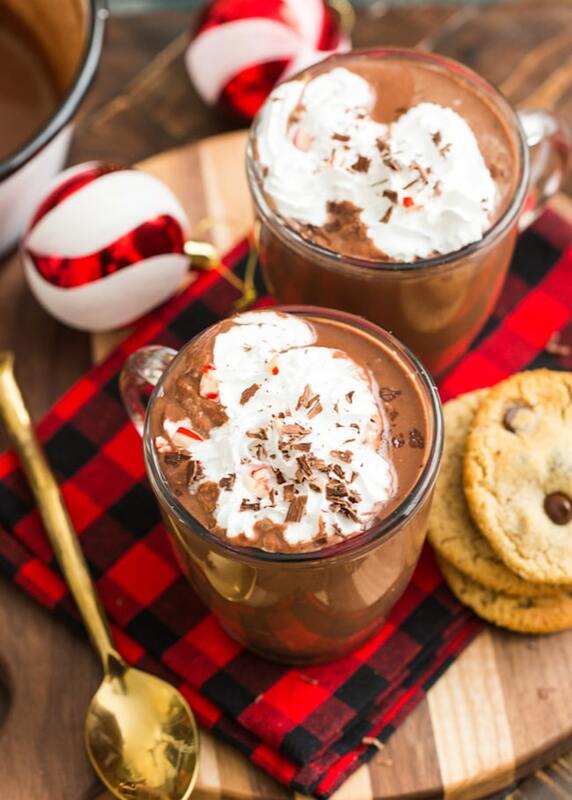 Don’t forget to #asaucykitchen on instagram if you try this Coconut Milk Peppermint Hot Chocolate! We love seeing what you make! You can also post your pictures to my facebook page! My go to winter drink made with full fat coconut milk and natural sweeteners with a touch of peppermint extract. Rich, creamy, and completely dairy free! Make it as is or play around with your own flavourings. Add the coconut milk, cocoa powder, maple syrup, and peppermint extract to a small stove top pot on low heat and whisk until combined. Top with coconut whipped cream and your favourite hot cocoa toppings if desired and serve warm. Enjoy! To cut down on calories and fat you can use a low fat coconut milk or use half coconut milk and half almond/other non dairy based milk (one cup each). I don’t know what I’d do without coconut milk! This recipe gets me every time I see the pictures. Yum! Pinned it and shared. 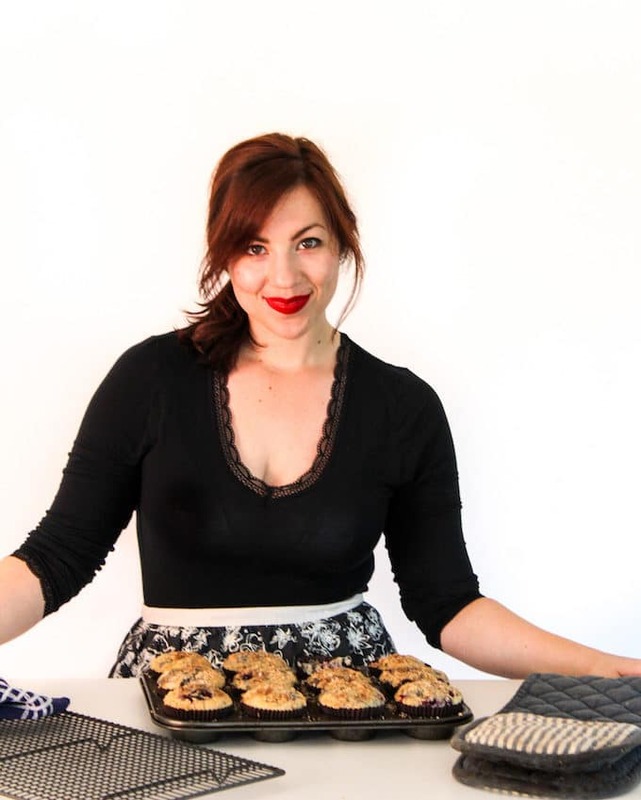 Thanks for sharing it with us at Savoring Saturdays linky party! Ug, that picture is making me drool… Now I know what I’m making after my kids are in bed (’cause I won’t want to share!). Delicious Hot Chocolate! Thanks so much for sharing your post with us at Full Plate Thursday and have a great day. Oh this sounds amazing! I think I know what we’ll be drinking this weekend while we wrap Christmas presents! Thanks, Celeste! That sounds so Christmassy – I love it! 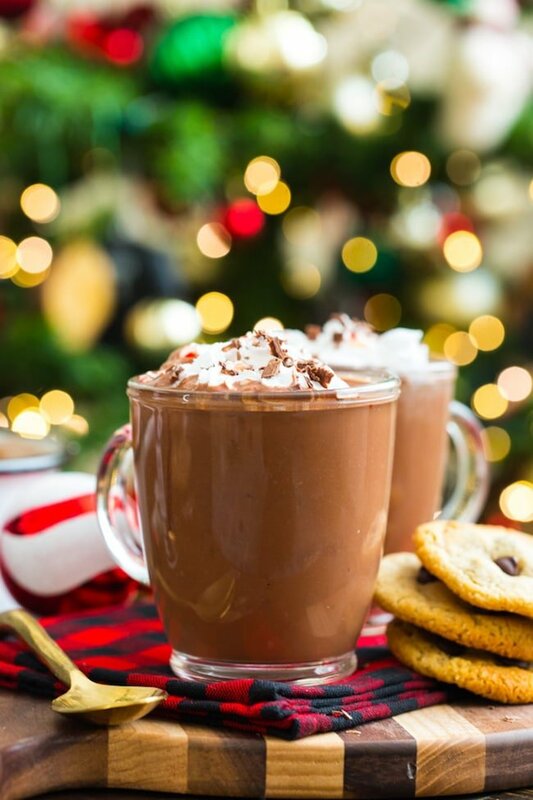 Hot chocolate and tree decorating sounds like such a great time – thanks, Barbara! Thanks, Lucy! Hope you like it! This looks so good and easy to make! I would love for you to share this over at Bloggers Spotlight Linky Party. It is a link party and pin-it party in one! Hope to see you there! You have a super adorable bro, reminds me a bit of my little bro! Can the coconut milk be replaced with cow or almond milk? Thanks, Tamar! Little brothers are great, aren’t they? It won’t be quite creamy because almond milk is mostly just water, but you can definitely replace the coconut with almond milk and it will still taste great! THis looks amazing!! Oh, the mint, the coconut milk – swoon! And your brother sounds pretty fab, too! It’s currently 30 degrees Celsius here in Australia, so not really hot chocolate weather! I’ll be bookmarking this ready to make in a few months. Hope you like it when the weather’s right! This sounds and looks so decadent!! This looks outstanding. The maple syrup is a surprising touch, too. I love how decadent and rich this is even with the use of whole food ingredients! And plus, you can never have enough hot chocolate or peppermint anything! Yummy, your hot chocolate looks divine and without any unnatural additives it’s a definite winner. I’ve never made hot chocolate with coconut milk before but definitely keen to give that a go. Love your pics with the pine branches as well – so festive 🙂 via Fabulous Foodie Fridays! This is absolutely my kind of winter weather indulgence! Bookmarked to try later! Thanks, Elizabeth! Hope you like it!